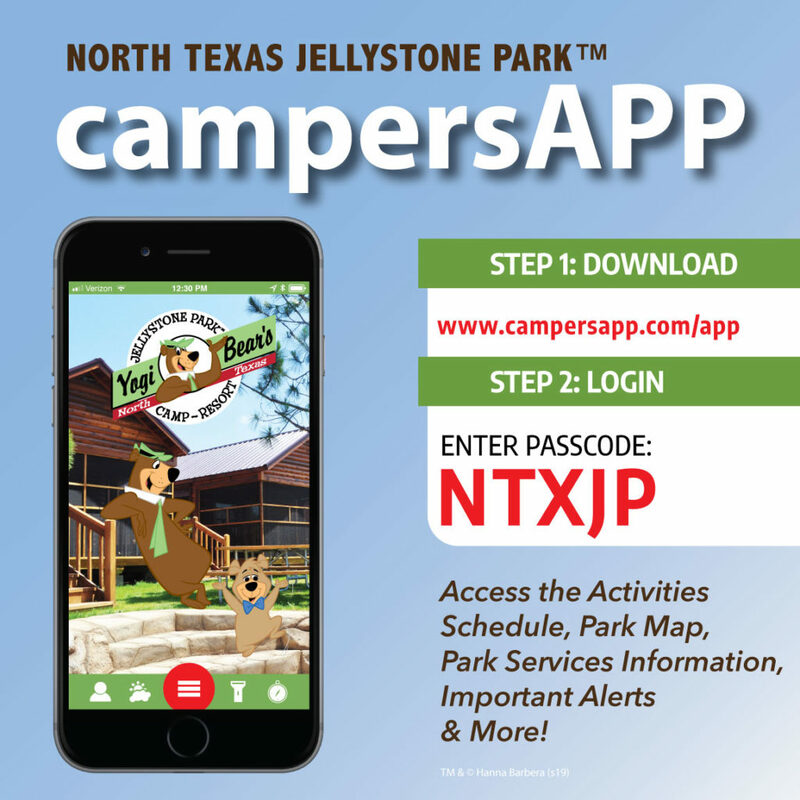 Blast off into our family space-themed weekend at North Texas Jellystone Park™! Come explore our “outer” spaces in the great outdoors! Join Yogi Bear™ and friends as they play “Space” themed games and events with the campers! Look to the stars and get starstruck on our karaoke stage! Definitely your best camping experience on planet Earth! NOTE: This is a WEEKEND THEME. Little Pirates’ Cove Water Park is open Saturday & Sunday 11:00 am – 6:00 pm this week. For access to the activities schedule 1-2 weeks prior to the themed week, Park information, Activities Alerts, and more.